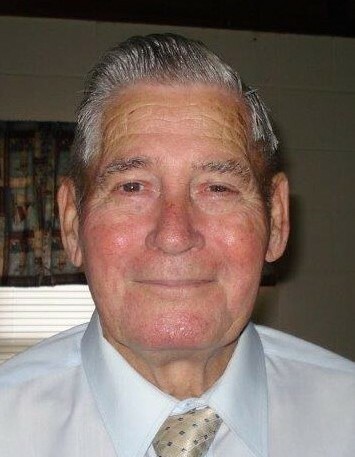 Hugh Gurney Brewer Jr., age 90, of Sanford, NC, died Wednesday, September 5, 2018 at Sanford Health & Rehabilitation Center. He was born in Lee County on June 21, 1928 to the late Hugh Gurney Brewer Sr. and Ollie Martindale Brewer Olander. In addition to his parents he was preceded in death by his wives Eleanore Johnson Brewer and Joan Holder Brewer; grandson Michael Lawrence and siblings Winslow Brewer and Ethel Payette. Hugh served our country in the United States Navy retiring after 20 plus years of service. He also retired from the Lee County as a maintenance supervisor. Hugh was also a Lee County Deputy Sheriff and a Mason. He is survived by son Hugh G. Brewer III and wife Elvie of Havelock; daughters Julia Brewer Fogleman and husband Dr. Hal Fogleman of Laurinburg, Linda Brewer Lawrence of Hamlet; brothers Clarence Brewer of Carthage, Lynn Brewer and wife Daphne of Sanford; sisters Carolyn Fallin and husband Charlie and Phyllis McDowell all of Sanford; grandchildren Stephenie Bacon, Bobby Lawrence and wife Jill and Johannah; step-grandson Frances Brewer; and great-grandchildren Emily and Barrett. The family will receive friends Sunday, September 9, 2018 from 1:00 PM to 2:00 PM at Bridges-Cameron Funeral Home with the funeral service following at 2:00 in the chapel with Rev. Robert Thomas officiating. Burial will follow at Buffalo Cemetery.